Remember watching this on tv in 2005 the year before they reunited. 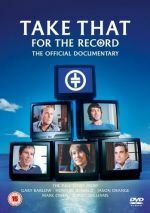 This documentary got the wheels in motion and also the fact it was watched by millions of people becoming the most watched programme of the week and exceeding predictions showing the fan base was still there. The will he won't he return of Robbie at the end of the documentary was fasinating but i thought he wouldn't show sending video messages to the other members instead and admitting there was still tension and guilt from his part towards Gary. Raw and honest too which was refreshing for a documentary.